Is it time to update your home's entrance with a new door? Are you preparing your home for sale? In either case, a door replacement will add beauty and life to your home without breaking the budget! With a wide variety of colors and styles to choose from, LYF Construction understands selecting the perfect door can be challenging. 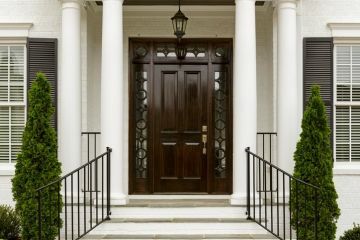 The professional door installers at LYF Construction are here to help make it a simple and pleasure able experience. With over 16 years of door replacement knowledge, LYF Construction has the expertise to properly install just about any type of interior or exterior door. Is your front door looking dull? Is the paint cracked or peeling? LYF Construction offers a wide variety of interior and exterior replacement doors to choose from and over 16 years of expertise. Our door replacement technicians will be happy to assist you in choosing doors with colors to match your exterior or interior paint, or doors with decorative glass or hardware to add a bit of elegance. And so much more call (832) 304-6764 for a quote! Call (832) 304-6764 to have your doors replaced. We are ready to exceed your expectations!